As usual, take these with a grain of salt. Actually, just go ahead and assume I made them up completely. I went to Taku's house. Even though it feels like I'm moving step by step, pointlessly. Even though it's tiring and unpleasant at times, I'll fight on!! Tomorrow is HEISEI ISHIN (平成維新)'s spiritual successor N@H (N@H-ノア-)'s first live. I met and shared feelings with YUKKIE and RAI today; they're really full of hope!! 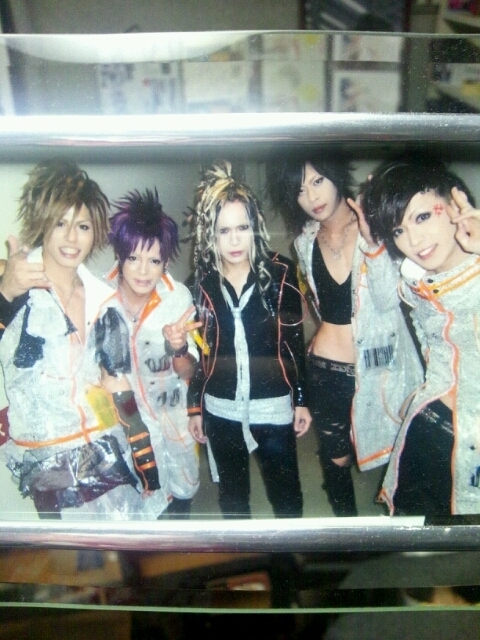 善 (yoshi) posted this one on Taku's birthday (his death was just a few days before...). By the way, there was a running joke with him about cheese fondue. There may be little of this year left, but let's enjoy it!! HOLIDAY NAGOYA manager posted this one on Taku's death anniversary. SWIMMY was HEISEI ISHIN (平成維新)'s main song. 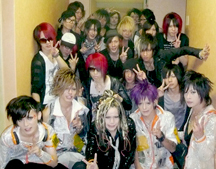 /KISAKI/ posted this one on the 10th. December 10th..... HEISEI ISHIN (平成維新) Taku's death first anniversary. They're not leaving Taku behind, but on the 10th YUKKIE and RAI's HEISEI ISHIN (平成維新) time ends, and on the 11th their new band N@H (N@H-ノア-) begins a new period. We've all inherited a little part of Taku; we absolutely won't forget you. There's one other really cool entry that I'm going to post here, but it's too late right now.